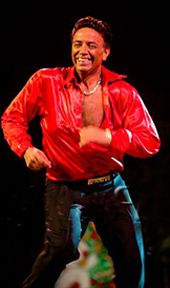 Eddie Torres is known as the "Mambo King" but he is also known as "el maestro de los maestros" because most New York Mambo and Salsa dance instructors and performers have gone-through him. Eddie introduced timing and the step pattern syllabus to New York Mambo dance in the mid 1970’s breaking down and recording hundreds of "shines" (step-patterns). He kept the Mambo dance alive through the Hustle era by working closely with Tito Puente. He founded the Eddie Torres Dancers in 1987 and was the director of the Tito Puente Dancers (where he danced the lead) before then. He has created dance routines and spectacles, utilizing New York’s abundant talent, for performances at Madison Square Garden, the Apollo Theater, Town Hall among others. 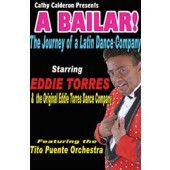 The Eddie Torres Dancers have performed for some of the best Salsa Musicias in the World. Eddie is Puerto Rican and lives with his family in New York City where he was born.